Beyond "far forward right hand page," most media people don't give a crap where their print ads appear in a magazine. 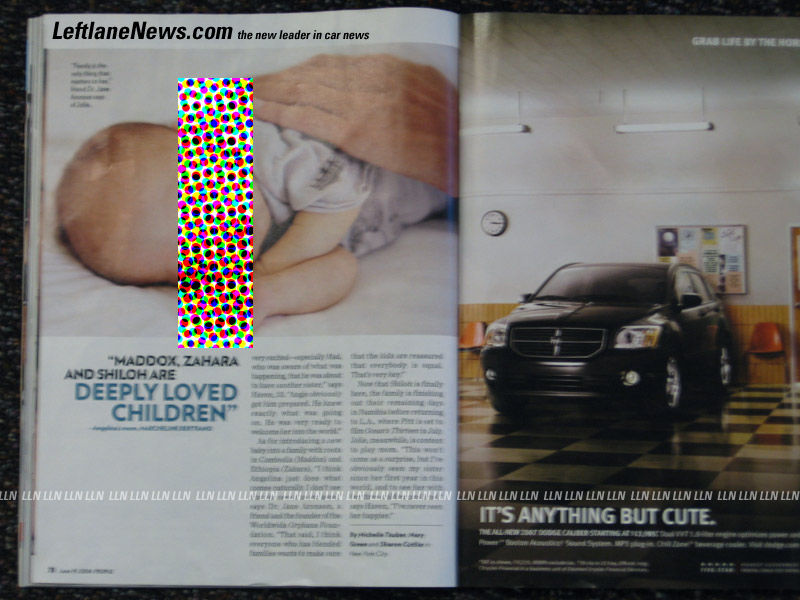 Apparently, Chrysler's Mark Spencer does and he jumped, when called by People magazine, at the opportunity to place an ad next to the article about Brad Pit and Angelina Jolie's baby Shiloh. While the placement itself is a great one, the headline of the Dodge Caliber ad, "It's Anything But Cute," makes it one of the better ad placement juxtapositions in recent memory. Forgive the insane LeftlaneNews brandapalooza and baby facial coverage on the image. Why even botther? The image is already out there the world over. First Howard Stern did terrestrial radio. Then satellite. Then, apparently, he was offered a major deal to return to terrestrial. Over the past two days, the media has been abuzz about Stern, Opie & Anthony and a rumor Stern would return to terrestrial radio after being offered a deal. Radio trade publication FMBQ debunks and sets straight mainstream media's overwrought antics regarding the move. And, no, he's not moving back to terrestrial. He hates it and he's sticking with Sirius.